As Bitcoin continues to prosper as a banking method for online gambling, hundreds of BTC gambling sites are beginning to pop up online, all eager to entice bettors into depositing. While most of these sites may have good intentions (admittedly, some are trying to scam players from the get-go), running an online gambling site – whether it be a poker room, online casino or sportsbook – is a tough business, and even honest operators can go belly-up. 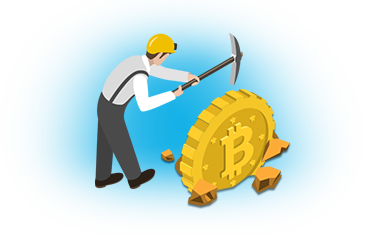 On this page, we’ll profile some of the Bitcoin-based sites that have gone rogue and aren’t paying players in a timely fashion or have run off with player funds. Many of these sites are still operational while others have closed up shop. Make sure you always sign up with one of our recommended Bitcoin Sportsbooks, like the ones we list below. Online gambling has been around for about 20 years, but the vast majority of bitcoin gambling sites are still less than two years old. While the cryptocurrency has gained plenty of mainstream acceptance, even with large online retailers such as Dell and OverStock.com, the vast majority of these sites simply haven’t been around long enough to trust. Many traditional fiat-based online gambling sites, especially the ones that are most trusted by players, have been around for a decade or more. Even in the much-maligned, US-facing offshore gambling industry, there are plenty of operators that enjoy stellar reputations stemming from a decade or more of timely payouts and positive feedback from bettors. On the other hand, when we look at the Bitcoin betting market, we’re dealing with a lot of sites that have been in operation for less than two years. Newer BTC gambling sites are popping up constantly too. It’s almost impossible for us to recommend a site that has been in operation for just a few months, even if players are reporting excellent support, fast withdrawals, and an overall excellent experience. One of the best ways to put a scam into action is by taking the guise of being a legit shop. Some BTC sites have seemed legit only for the owners to suddenly shut up shop and make off with players’ bitcoins overnight. Bitbook.biz and BitcoinLiveBets are two infamous examples that come to mind. Bitcoin gambling truly is the Wild West of online gambling at the moment, but as more sites become established and begin to build a reputation over time, that will change. The near-anonymity of bitcoin technology is excellent for players who don’t want their personal information being handed out to online gambling sites. This also allows players to forgo the authentication process (required at fiat-based gambling sites) of sending in their ID documents and other standard verification procedures. However, Bitcoin’s anonymity is a bit of a double-edged sword. The operators of most sites are just as anonymous as the players, if not more so. While many offshore sites do not publicise their employees on their website, the head bookmakers and upper management are known by industry insiders. But in most cases, no one has any idea who is operating Bitcoin gambling sites. Also, since Bitcoin transfers are one-way – meaning there can’t be a chargeback and the funds can’t be seized by a third party, there is no chance of players getting their funds back if a sportsbook goes bust or simply decides to not pay them. Of course, this is also why we love Bitcoin. BTC can’t be seized or controlled by a government or by other outside forces. However, this also attracts dishonest operators who are eager to lure players with lucrative offers, only to disappear with players’ funds once things go wrong. There’s no sure-fire way to avoid a gambling site that is a scam, nor can it be predicted that an operator will go rogue. But there are plenty of signs that players can look for to avoid such an issue. This is something we highlight frequently, mainly because it’s so critical. The longer a site has been around and paying players consistently, the more likely it is that the business is not a scam. This isn’t foolproof, however, because operators could be “playing the long game” and hoping to receive as many deposits as possible before going rogue. Again, running a gambling site is a tough business. Operators may go bust and decide not to take the virtuous route of refunding player deposits, closing their doors without refunding instead. Playing at sites with an extremely short track record can be dangerous. Even sites in operation for two years or more have been known to disappear overnight. The reality is that most Bitcoin gambling sites should have a banner that says “play at your own risk”. Huge bonuses without much of a rollover or odds that look too good to be true should be huge red flags for players. Sportsbooks that offer poor lines will be hit without mercy by sharp bettors. Whether the book pays out or not is another story, but a shop that continually posts poor lines cannot stay in business for very long. The same goes for promotions. If a site is offering reduced juice, a large deposit bonus or excellent teaser and parlays odds, buyers should beware. For casino gaming, look for casinos that are certified provably fair and have a strong reputation. This is not to say you should avoid sites with promotions or that you should beware if an operator offers some advantages when looking at their betting markets. Instead, use your best judgement; an online gambling site won’t survive long if they are giving money away. We would feel much more confident at a book with a small bonus with 10x rollover requirements than we would with a huge bonus with low turnover requirements to clear. The best thing about Bitcoin technology is that people want it to succeed. There are several communities built around Bitcoin, and the BitcoinTalk forum is among the best online. They have a sub-forum devoted solely to gambling, and just about any Bitcoin gambling site worth depositing at (and many that are not) has a thread on the gambling forum. This is a great tool for players to ask questions and request support. It also allows sites to promote their product and promotions to potential customers. If a site is receiving poor feedback from the community here, it’s an operator you should almost certainly avoid. BitcoinCasinoPro.com is another site that has taken on the role of industry watchdog. They post scam reports and deal with disputes between players and Bitcoin gambling operators. They also have fair ratings, unlike many other sites that are obviously just shills for advertisers. A community is often the first place where players will look to find out if a site is treating their customers poorly, whether it is slow on payouts, or if it has shut down altogether. Use it to your advantage when deciding which Bitcoin gambling site to use.